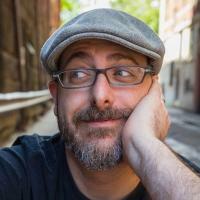 Funk is the author of several children's picture books, including the Lady Pancake & Sir French Toast series, How to Code a Sandcastle, It's Not Jack and the Beanstalk, and many more. Funk is no stranger to Lakehill. Last year, he spent time with first graders through a Skype interview. "The students absolutely loved hearing him read and learning more about the writing process," said first grade teacher Laura Gigliotti. The Lower School book club enjoyed reading Lady Pancake & Sir French Toast in the spring, and discussed how to handle a conflict with a friend, a theme of the story. "Hosting the visit of an acclaimed children’s author of Josh Funk’s caliber is quite a coup for Lakehill," said Lower School Librarian Casey Pike. "These types of events inspire excitement in students and foster a desire to want to read, write, and learn more about the creative process of writing. I know Mr. Funk's visit will have a positive and lasting impression on everyone in our school community who has the opportunity to attend one of his sessions." Pike has several tie-in activities planned with Lower School students during their library time. Funk will present a behind-the-scenes view of the book-writing process and lead Lower and Middle School students through a creative activity to spark their own imaginations. All parents are invited to attend this special event. Even the cafeteria will get into the spirit of the day, serving pancakes for lunch. Funk will be signing pre-ordered books the day of the event. Books must be ordered by September 13, through the Lakehill website. Only books ordered through Lakehill will be signed. Learn more about Josh Funk and his visit to Lakehill. For more information, please contact PFC Book Fair Chairs, Katie Lavie and Sherri Barrett. 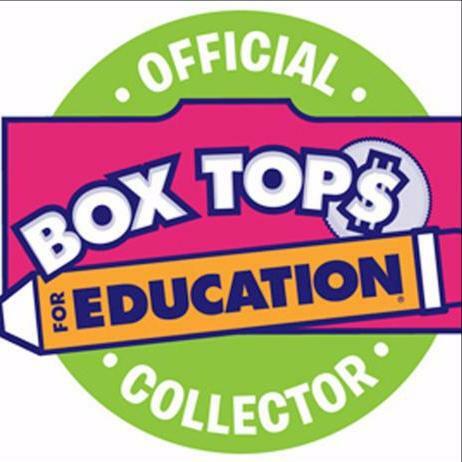 Box Tops for Education is one of America's largest school earnings loyalty programs, generating cash for schools to purchase what they need most. Box Tops are found on hundreds of products. "Clipping Box Tops is an easy way for Lakehill families to help earn cash for our school," said Angela Degeyter, PFC Promotional Programs Chairperson and Box Tops Coordinator. Box Tops should be bundled in groups of 10 or 50 using a sealable bag or envelope. "The Box Tops campaign was a huge success in Lower School last year," said Head of Lower School John Trout. "They funded new playground balls throughout the year and helped provide the two new Gaga Ball pits for Lower and Middle School." Box Tops are due October 25, 2018, to your child's teacher. The class that collects the most Box Tops will receive a pizza or ice cream party. Just click here to get started – it automatically connects your Amazon account to Lakehill. If you haven't connected with Lakehill through social media, you are missing out! Take a look at all the ways to get involved with Lakehill. LIKE us on facebook , then follow along for up-to-the-minute announcements, pictures, videos, and news. 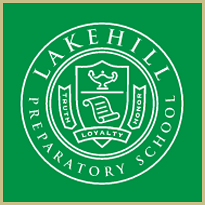 Follow Lakehill on Twitter for more up-to-the-minute announcements and news. We also have Twitter accounts for Warrior Athletics and Middle School. 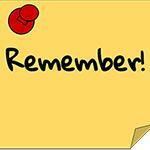 Read Reflections , Lakehill's blog . 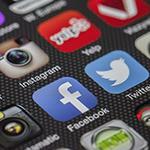 There are new posts weekly from faculty, staff, students, and parents. 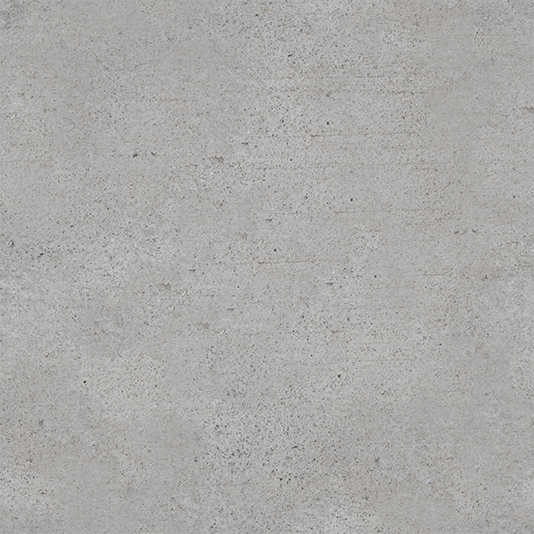 We post all of our pictures on Lakehill's photo sharing site on SmugMug . Relive all your favorite moments from Lakehill events or see pictures from the ones you missed. You can even order high quality, low cost prints and other products - and the proceeds benefit Lakehill! Download the Lakehill SmugMug app to your phone or tablet to have constant access to all our photos. Get ready for more live broadcasts and on demand coverage of our biggest sporting events and performances this year on the National Federation of State High School Associations (NFHS) Network. You can sign up for a monthly pass for $9.95, or take advantage of the special Annual Pass for only $59. Find out more and sign up . The first live broadcast will be the Tailgate Game on September 14. 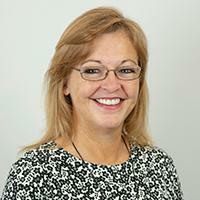 Patti Frullo joins the Lakehill administrative team this year as Assistant Headmaster. Born and raised in Lubbock, Texas, Frullo earned a Bachelor of Science degree in Mathematics from Texas Christian University. She also earned an MBA with a concentration in Accounting from Texas Tech University, and a MEd. in Education Administration from Wayland Baptist University. After college, Frullo moved to Denver, Colorado, spending five years as a CPA for international accounting firm PricewaterhouseCoopers. She returned home, spending the next 24 years in Lubbock, including 15 years at All Saints Episcopal School. She taught fourth grade math and science; fifth, sixth, and seventh grade math; served as Business Manager; and, for the last 10 years, Assistant Head of School and Head of the Upper School. Frullo has two sons. John Michael graduated two years ago from Rice University in Bio Engineering and works in Houston for an engineering consulting firm. Braden graduated a year ago from TCU in mechanical engineering and works in Dallas for Brandt Companies. After a national search yielding 106 applicants, Frullo was selected as Lakehill's new Assistant Headmaster. 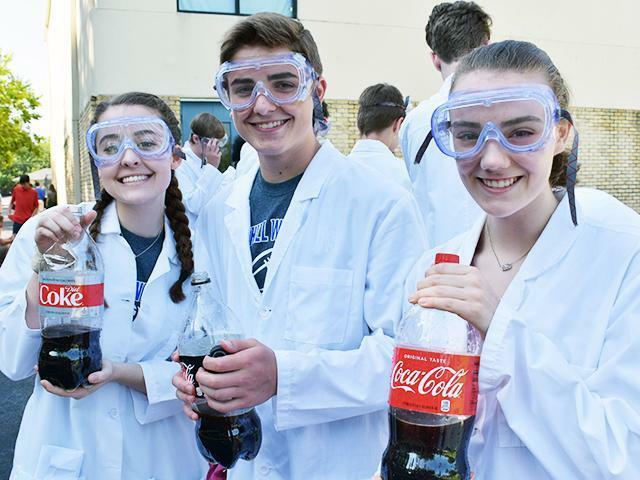 "I really enjoy watching students do what they love and getting to know them in different settings," said Frullo. She is looking forward to experiencing Lakehill's many traditions, and attending all of the special events, athletic games, and fine arts performances. Frullo is passionate about helping children and ensuring that faculty and staff are doing all they can to help children reach their full potential. "Everything we do should be focused on serving children and encouraging them to stretch and grow. The most rewarding thing to me is seeing students accomplish something that they were not sure they could accomplish. I love seeing students learn new things and grow into confident young people ready to tackle anything that comes their way." Frullo is thrilled to be working at Lakehill, and credits the warm family feel for making it unique. Her philosophy is evident in the words she chooses to live by: "Do what you know in your heart is right and things will work out for the best." You don’t have to look far to see how your donation makes a difference for the students and families at Lakehill. The Annual Fund supports everything from security guards, to faculty training, to travel for athletic, art, and academic competitions. But those are just the obvious things. Your annual fund donation makes amazing things possible. At Lakehill, your gift matters. Choose to make a #BigImpact. Mark your calendar for September 20, North Texas Giving Day, when your gift goes even further thanks to bonus funds from the Communities Foundation of Texas. The JV team notched another big win on August 28, against Waxahachie Prep. A strong serving effort from the entire team led to a lot of great runs. The Varsity team has played a gauntlet of games in the past week. In pool play of the McKinney Christian Tournament of Champions, the team beat district rival Dallas Lutheran, split with Flower Mound Coram Deo, but came up short against McKinney Christian. With the second place finish in pool play, the team qualified for the gold bracket. On Saturday, they lost to a tough Hockaday team before getting a big win over another district rival, Rockwall Heritage, and winning the gold consolation by beating HSAA. The team finished fifth out of a competitive field of 16 teams from across Texas. 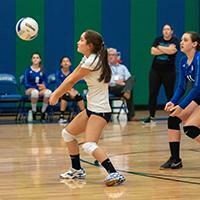 On August 28, the team won easily over Waxahachie Prep in straight sets. They take on Ovilla Christian, currently the top ranked TAPPS team in 2A, on August 30, at 7:00 p.m. Both the JV and Varsity teams will then travel to Bulverde, near San Antonio, to take on Bracken Christian before starting district play against defending champion Rockwall Heritage on September 4. Come out and support the team as they start district play on Tuesday, September 4. JV starts at 5:00 p.m. and Varsity at 6:00 p.m. The Middle School Blue and Green Volleyball teams have been working hard in practice and are ready to get their games started. 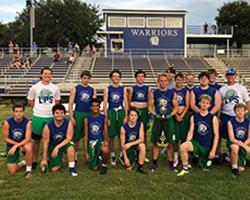 The Green team takes on Ovilla Christian on August 30, at 5:00 p.m. On September 4, both the Blue and Green teams will travel to Greenville Christian for games at 4:00 p.m. and 5:00 p.m. respectively. The Varsity Football team had another successful scrimmage last Friday night at Warrior Athletic Complex. The defense was in top form and the offense scored eight touchdowns on 24 offensive plays. This Friday, the Warriors set their sights on their season opener on the road against Bracken Christian School in Bulverde, Texas . The Warriors will be looking for leadership in their only senior, Ben Palmer , in this first ever football match-up between the two schools. 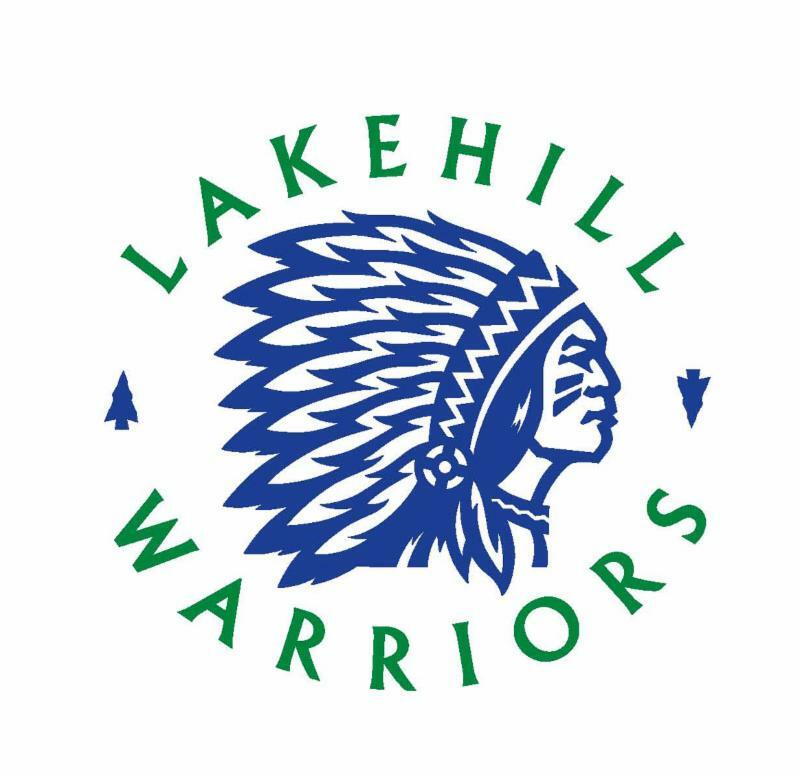 Kick-off is scheduled for 7:30 p.m.
Lakehill’s Varsity and Middle School Cross Country teams had their first meet, the Friday Night Hawk Invite, at McInnish Park on August 24. Despite the 100 degree temperature, the team had a great first meet. The four Varsity and 17 Middle School runners on this year's team train every morning at 6:15 a.m. at White Rock Lake to prepare for meets that will be held every Saturday through October. In the Varsity Boys two-mile race, with a field of 458 runners, Cullen McCaleb finished first for Lakehill with Harris Jones and Blake Perry not far behind. 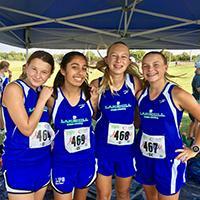 These freshmen are new to the team this year, and are training hard for the TAPPS State Cross Country Meet at the end of October. In the Middle School girls two-mile race, with a field of 62 runners, newcomer Blake Bied inched out Avery Owen by one second to be the first Lakehill Middle School girl to finish. In the two-mile boys Middle School race, with a field of 102 runners, Noah Kohn was the first Lakehill finisher, just ahead of James McKinney. Other Middle School girls who raced included returning runners Cali Byrd and Aleena Wallace, and newcomers Hannah Reister, Sydney Nguyen, and Ellis Langford. The boys race included newcomers Vivek Patel and Maxwell Byrd, plus returning eighth graders, Arthur Cirillo, Hudson Welch, Ellis Meyer, and Roman Gracia. Both teams will be racing Saturday morning in the DBU Patriots/Orville Rogers XC opener in Mansfield. See the results from the Friday Night Hawk. Don't miss out on the first Pep Rally of the year on September 14, from 1:40 - 2:05 p.m. Then head to the Warrior Athletic Complex as the Varsity Warriors take on Fairhill. Enjoy the annual Tailgate Party at 6:00 p.m. before the game with hot dogs provided by the PFC and other refreshments available at the concession stand as we cheer the Warriors on to victory. Kick-off is set for 7:30 p.m. Go Warriors! Special thanks to the Andreason family and Rudolph's Market for donating the meat for the grill for all home games this year! Parents are invited to join in the fun when this award-winning author visits Lakehill! See related story above. Place an ad in the 2018-19 Lakehill Directory and promote your business to Lakehill families, faculty, and staff. Rates begin as low as $150. Contact Gigi Ekstrom to find out more. But hurry, space is limited and must be reserved by August 31.